Kerrie Wursten’s interest in real estate began to blossom from a young age and she landed her first full time position as a front desk receptionist in 2007. 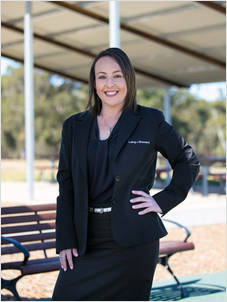 Over the years Kerrie has proven her ability in all facets of the industry working in both sales and property management. As Property Manager for Laing+Simmons Kings Langley, Kerrie oversees a large portfolio of properties, undertaking inspections and handling maintenance enquiries. Kerrie is young, bubbly energetic and ready for a challenge. She believes that the most important part of the job is being able to build long lasting relationships with tenants and landlords, ultimately creating a repeat customer base. Having lived and grown up in the area, Kerrie has a unique understanding and local knowledge of the market. Her determination to ensure that the best possible result is achieved for her clients’ most valuable asset sets her apart. Kerrie’s growing passion for the industry will lay a platform for a long, successful career ahead of her. In her downtime Kerrie enjoys spending time with her family.